The Moto X Force packs a hefty punch with the Snapdragon 810 v2.1 chipset. The Adreno 430 pairs very nicely with the latter for a smooth UI experience. Sure, there is the newer and cooler Snapdragon 820 chip, but let's not forget that the Moto X Force originally launched late last year when the 810 was still Qualcomm's greatest mass-production SoC around. 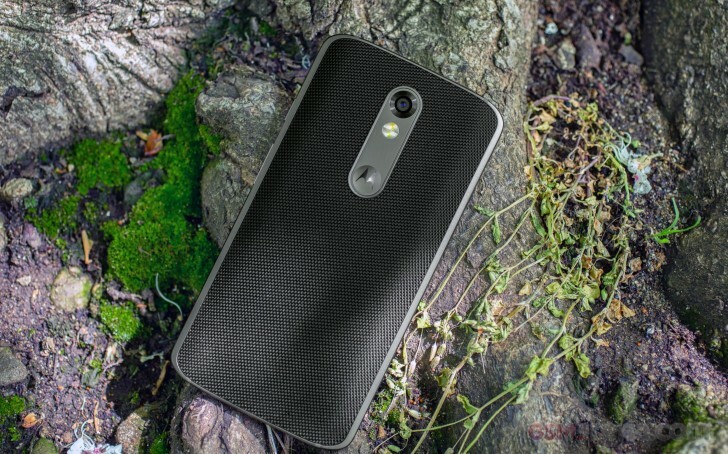 So, the Moto X Force offers an octa-core processor with 4x Cortex-A53 @ 1.5GHz and 4x Cortex-A57 @ 2.0GHz. There are also 3 gigs of RAM. GeekBench 3 single-core score put the Moto X Force around the bottom of the chart as it tests a single Cortex-A53 core, which is quite outdated. The multi-core performance is on par with the last year's Exynos chips, but behind the S820 phones (Mi 5, G5, HTC 10). The custom Kryo cores inside those are paying off (remember, there are only four of those in a Snapdragon 820, while the Snapdragon 810 is an eight-core main processor). The compound AnTuTu benchmark puts the X Force on par with the Nexus 6P, which runs on the same chipset. The latest crop of flagships does noticeably better though. We see the same results in the compound BaseMark OS II 2.0 test. The Moto X Force is around the bottom, on par with the S810-powered G Flex2 and Galaxy S6's Exynos. The latest flagships are faster by a significant margin. There is a newer generation of Adreno GPU already, which is better equipped to handle Quad HD resolution. Still the S810's Adreno 430 model is quite a powerful and snappy GPU and will handle the graphic-demanding tasks with ease. The offscreen test reveals the 30% raw power gap between the Adreno 530 (Mi 5, HTC 10, G5) and the Moto X Force's Adreno 430. When it comes to onscreen Quad HD resolution, the Adreno 430 is actually very close to what the G5 and HTC 10 score with the newer Adreno 530. The Mi 5 is on top because it runs on 1080p resolution. The BaseMark X puts the X Force on par with the HTC 10 and the Galaxy S6 edge+, which is odd, but proves the GPU is very capable. BaseMark ES 3.1 GPU test also shows a better result than the Nexus 6P, and not far behind the Mi 5. The good news is the Motorola Moto X Force and its Snapdragon 810 provide a flagship-grade performance even though it's not chart topping. There isn't a single task the Force can't handle, and all available games to date will run hassle-free. Android Marshmallow runs butter-smooth, too, so there is nothing to worry about either. The Snapdragon 810 chip was plagued by overheating issues, and while it is now in its second (improved) revision, those are still possible. Luckily, the Moto X Force handles thermal distribution very well and there is no throttling even when the phone gets hot. And the bad news is, the Moto X Force indeed gets hot when under pressure. Its metal frame and ballistic nylon rear cover get uncomfortably warm. But that's it - there is no overheating or performance throttling.